Strand Life Sciences, an entity founded by Indian Institute of Science (IISc) professors, has begun offering personalised treatment to cancer patients in America. Strand, which has brought down the time taken for the first line of cancer treatment by half, provides the same personalised treatment to local patients in India at a cost of a PET scan. In India, it offers a package by sequencing 50 genes, to bring costs to less than Rs 20,000. “What we are doing is unique even to the West,” says Vijay Chandru, chairman. In 2000, Chandru, a computer scientist at IISc, along with colleagues Swami Manohar and V Vinay, built India’s first palm-size computer, the Simputer, to bridge the digital divide. Picopeta Simputers, the company they formed at IISc, was the first start-up incubated in an Indian academic institution. In 2005, Picopeta was acquired by software firm Geodesic. Around the same time, Chandru began Strand with Ramesh Hariharan, as a software product company, building software and analytical tools for global medical firms to analyse complex biology. In 2009, the firm had nearly 30 per cent of the global market for these niche tools, selling to global pharma entities and research institutions. In 2010, Chandru and his board members were mulling whether to sell the company – a poll with staff and the board members made them shift strategy, to offer personalised medicine as it looked at global opportunity. While Strand was shifting its business strategy, it required a sequencing lab to show its model could work. Help came from the Centre and Karnataka and one was built at the Institute of Bioinformatics and Applied Biotechnology. Strand has raised $18 million from investors such as Biomark and also brought in a US-based chief executive, Scott A Storrer, to build its business globally. “The US market is more exciting and insurers basically cover the costs,” explained Chandru. 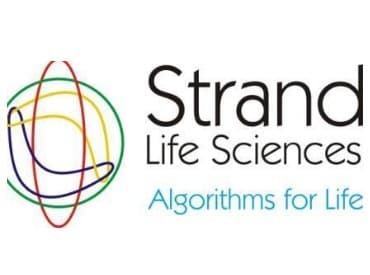 Strand has built a team of 50 doctorates in molecular biology who can interpret the reports generated by its artificial intelligence platform, Grammatica. Strand began building it in 2005. It looks at abstracts of the world’s biology publications, and interprets for cancer tumours, the genes and possible treatment methodologies. The AI engine which can read full sentences in the English language, the grammar and also looks at the literature, produces reports that the molecular biologists interpret before sending to patients. Even in the US, personalised gene treatment is still growing and there are very few players in the market, says Storrer, the global chief executive.